On August 10 at 5:00 pm, Rosso’s Proprietor & Executive Chef John Franchetti will prepare a special four-course dinner with wine pairings from Ramazzotti Winery at the new Rosso’s Rosticceria, 1229 Dutton Avenue, Santa Rosa. Click here for menu, wine pairings, and reservation form. Reservations may be made by mail or credit card. For mail orders, send check to NBICF, 64 Brookwood Avenue, Santa Rosa, CA 95404 with reservation form (print using File/Print or Ctrl-P from your browser). The reservation form will also be in the July Mosaico Newsletter. For credit card orders go to www.BrownPaperTickets.com/event/685404. This entry was posted in Events, Fund Raisers on June 22, 2014 by Don Raimondi. 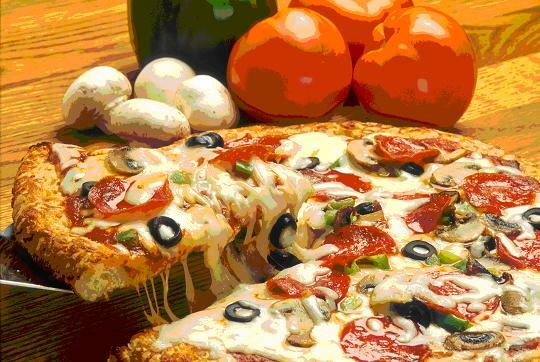 Great food and fun, it’s time for our second annual Pizza e Birra Fundraiser on Wednesday, July 16, 2014 starting at 6 PM. Rosso’s has graciously agreed to donate all the food once again for this event. The wood-fired pizza oven will roll into our parking lot and we’ll be dining al fresco on all-you-can-eat pizza, salads and dessert plus Moretti beer donated to us by Total Beverage Solutions. We’ll also feature a movie for those wishing to dine inside, this year it will be Beyond the Sea the story of Bobby Darin whose real name was Walden Robert Cassotto. You must reserve early for this fundraiser as we only have 50 tickets available. Tickets are $25 for members and $27 for non-members. Make your checks payable to NBICF and note July 16th dinner. Mail to 64 Brookwood Avenue, Santa Rosa, CA 95404-4326. For more information call the Center at 591-9696. Fundraiser proceeds support out scholarship program at SRJC and our cultural events. This entry was posted in Events, Fund Raisers on June 19, 2014 by Don Raimondi. Support the North Bay Italian Cultural Foundation in a fun and creative way. 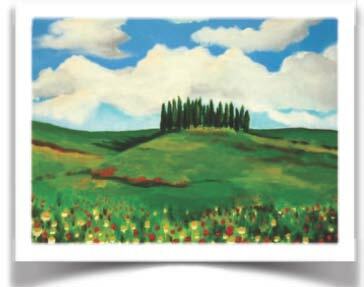 Our new fundraiser is ‘Pittura Italia, Painting Italy’ on Saturday July 12, 1-4 PM at the Center. This three-hour workshop is for any level of art ability! Participants will spend an afternoon creating an original painting of an iconic scene in Italy guided by professional artists. All participants will receive a canvas board, paints and brushes to use, beverage and snack for $35. Just bring an apron and your creativity and go home with a painting! Because this is a sip and sketch event (we are serving wine), it is for adults only. To register, send your check with Name & Phone Number to NBICF 64 Brookwood Avenue, Santa Rosa, CA 95404. Registration must be received by July 9, 2014. Space is limited. Reserve early. Questions: Call NBICF at 707-591-9696 or use Contact link. Fundraiser proceeds support our scholarship program at SRJC and our cultural events. This entry was posted in Events, Fund Raisers on June 17, 2014 by Don Raimondi. Join Sharie Sbrazza for a night of Travel News for NBICF members at the Italian Cultural Center. Upcoming trips include The ‘A’s Italian Heritage Night’ at the ballpark on Friday, August 1. Board a bus with other members with games and prizes. Receive a hat, dinner and great seats once you arrive at the ballpark. Tickets for members are $60. In October, members can board a bus to Reno for an overnight trip the Reno’s Festa Italiana. November’s trip is to the southwest region of France, the Languedoc, and to the southeast of Spain. See the largest Roman Aqueduct, a Roman colosseum, castles, beautiful beaches, Barcelona and more. Sharie will show a slide presentation of the areas. For more information contact the Center at 591-9696. This event is free. This entry was posted in Events, Informational Meetings on June 13, 2014 by Don Raimondi.